If my ex doesn’t pay child support, I do not have to allow him to see the child. FALSE! These are two very distinct issues. You can learn more here from my article directed on that very subject. My spouse cannot force me to get a divorce. I have to give consent. FALSE! The court no longer requires consent by a spouse for divorce. Read more on this issue here. I do not need a lawyer. It will only waste my money. FALSE! An attorney can actually save you time and money as well as making the situation much better for the children. My children can choose where they will live. TRUE – SOMETIMES. Depending on circumstances, such as the child’s age, situations in the home and what will be in the best interest of the child, a judge may elect to allow the child’s voice to be heard on as to which parent he/she would prefer to reside. However, it is NOT a given and should never be held over the child or other parent’s head. A judge has the authority to determine another course of action. Here is an article to help you with that issue as well. Adultery will cost you everything. FALSE! While adultery can be problematic to some situations in a divorce, it does not remove a person’s rights. It will not take away a person’s rights to ownership in a home, for example. It does not cost you the right to visit your children either. 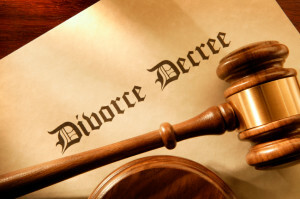 An attorney can guide you on how adultery can affect a divorce proceeding. I bought this home before I was married. It is not a part of this divorce. FALSE! If this was marital home (where you both lived during the marriage) it could be community property. An attorney needs to guide you on this aspect of your proceedings. Read the article here for some information on that subject. My wife and I can share the same attorney since we agree on most things for the divorce. FALSE! While I wish it were that easy, most couples have some differences and need someone to look out for their independent concerns. You and your spouse may very well come to an agreement abo ut all of the issues but having separate attorneys is the only way to truly protect yourself. See our article on finding the right attorney for the job here. If I lose my job or my hours are cut, I can reduce my child support. FALSE! If you already have a court ordered child support in place, you cannot self-adjust. You will need to get the court to modify that order. View more in our Modification article here. I should file the divorce first or I will lose an advantage. FALSE! I am asked this by at least 75% of the new clients with whom I meet. Though this may be true in very isolated cases, in most situations, there is absolutely NO advantage to beating your spouse to the court house and filing the divorce first. I can’t say enough that every case is unique. You must always seek the advice of an attorney to determine how to proceed in your case. Contact me for a consultation on your case. We will sit down, talk about the specifics of your case, what you would like to achieve and work on a plan together. 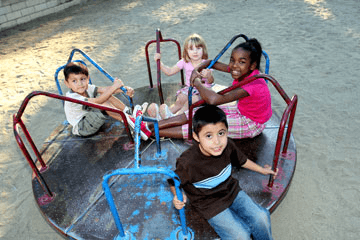 What is the role of a Guardian Ad Litem in Massachusetts?